Industry-leading research and development, combined with extensive testing ensures that our MILKLINE SOLUTION can be used across a whole spectrum of machines. This product is designed to be used manually or through a machine’s automatic cleaning system to prevent component blockage due to milk build up and to ensure ahygienic machine is maintained. 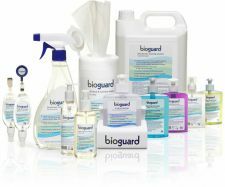 EASE OF USE — Our product is supplied in easy to use sachets or dosing bottles ensuring that the correct amount of product is used on each clean, eliminating product wastage and incorrect cleaning regimes. SUPERIOR CLEANING ACTION — Product is formulated to provide a superior cleaning action which results in higher levels of machine hygiene and reduced cleaning times compared to the more traditionally used products. NON DAMAGING — Product is formulated to prevent the risk of corrosion to machine components, unlike the more traditionally used aggressive chemicals. SAFE TO USE — The MILKLINE SOLUTION is classified as non-hazardous eliminating the risk of injury to operatives and customers should they come into contact with the product. FOOD SAFE & NON TAINTING — Our product contains a food safe and non tainting cleaning and disinfectant agent, making this safe to use on food contact components and surfaces such as machine steam wands, whipper bowls, drips trays, machine nozzles, work surfaces, etc. Pour sachet contents or recommend dose into milk container and follow machine manufacturers cleaning instructions. Pour sachet contents or recommended dose into jug with 1 litre of hot water. Put milk pipe into jug and follow machine manufacturers cleaning instructions.